So, You’ve Got a Probate or Estate Property. Now what? Should you sell quickly for cash? Should you put it on the market? Let's put up the sign! Fill Out Form to Get Started! 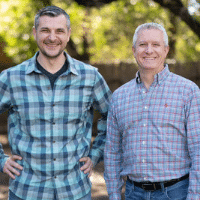 Owners Joe Theriault, Ray Tetu & their team of inherited property specialists help families move on. We've eased the burden of countless families ready to move on, hassle-free, by providing expert guidance and convenient selling options to those responsible for inherited property. We buy houses for cash as-is and list properties in Massachusetts and New Hampshire. 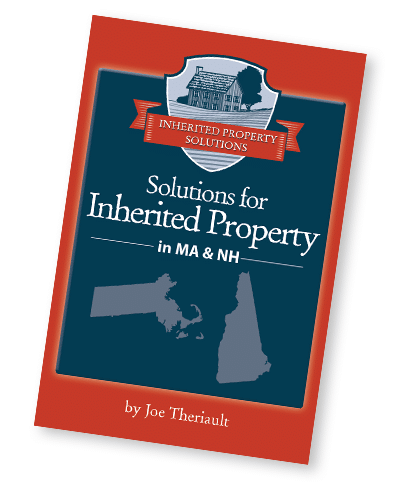 for Inherited & Probate Property? If YES, put immediate measures in place to protect it. If NO, but all heirs are agreeable, skip to Chapter 2.
among heirs, seek legal counsel. Are All the Heirs Agreeable? If YES, skip to Chapter 2. Do You Intend to Sell the Property? in selling probate and trust properties. Yes, I could use some advice! "I've dealt with enough probate, short sales and the like with over 35 years in practice. Joe got better than a great result!" Inherited Property Solutions shared a post. Come by for our grand opening bash! Live music by Scotty Saints , food by Boogalows Island BBQ, and tattoo specials by our staff! WANTED: Real estate wholesale buyer able to close deals! We’ve got the seller leads warmed up and the appointments set, you just go close the deal! More closed deals = more commissions. It's a win-win!